In two recent US trials, juries found that the plaintiffs’ cancer was caused by exposure to certain common chemicals. In August, a California jury ruled that the plaintiff’s non-Hodgkin’s lymphoma was caused by his exposure to glyphosate, a popular herbicide sold under the name “Roundup,” and ordered Monsanto, the manufacturer of the product, to pay $289 million US in damages. In July, a Missouri jury found in a class action involving 22 women, that talcum powder manufactured by Johnson & Johnson caused ovarian cancer, and awarded the plaintiffs $4.7 billion US in damages. Conclusive links between cancer and these products has not been established by scientists, and Canadian health regulators, as well as regulators in governments throughout the world, still permit the use of both products. How could a jury find that these products caused cancer in the absence of scientific proof? A plaintiff in a civil trial, including a medical malpractice action, must establish their case on a balance of probabilities. An essential element of the claim is causation, which is established when the plaintiff proves, on a balance of probabilities, that the defendant caused or contributed to the plaintiff’s injury. This is not a matter of determining the cause of the plaintiff’s injury with scientific certainty, nor does causation need to be established “beyond a reasonable doubt” as required in criminal cases. A plaintiff must convince a judge or jury that, more likely than not, the defendant caused his or her injuries. As a result, the standard of proof in civil cases is lower than both the scientific and criminal standard. Often in civil trials, both the plaintiff and defendant present scientific and expert evidence that offers competing theories as to the cause of the plaintiff’s injuries. It is then up to the judge or jury to weigh the conflicting evidence and decide which evidence to believe and how much weight to place on it. A judge or jury may make a finding of causation in favor of the plaintiff in the face of evidence to the contrary if they believe the plaintiff’s evidence was stronger. In the cases mentioned above, lawyers on both sides challenged the scientific methods used and suggested potential for conflicts of interest among the researchers. However, in both of these cases, the juries were free to decide which science and which experts to believe, and found that the plaintiffs had met the standard required in civil cases and had established that the defendants’ products had caused their cancer. Definitive scientific answers to questions about cancer risks from widely used chemicals is unlikely as it is unethical to conduct experiments deliberately exposing people to chemicals to determine if they develop cancer. Therefore, there will always be the possibility that an individual developed cancer due to another cause. Monsanto has stated they plan to appeal the California court’s decision, stating that glyphosate does not cause cancer and that they will continue to defend the product as safe and an essential tool for farmers. Johnson & Johnson has indicated their plans to appeal the verdict to defend the safety of Johnson’s Baby Powder. 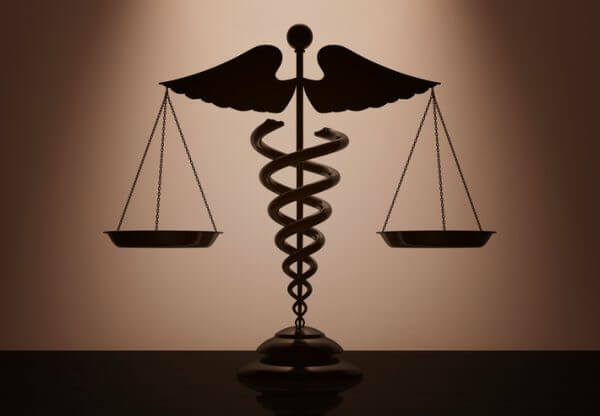 While it is essential that medical experts provide a firm opinion supporting the plaintiff’s theory of causation, medical or scientific experts ordinarily determine causation in terms of certainties whereas a lesser standard is required in civil cases. Therefore, a plaintiff can succeed in a lawsuit if they can prove that it is “more likely than not” that the defendant caused their injuries. It remains to be seen if these verdicts will be upheld on appeal.